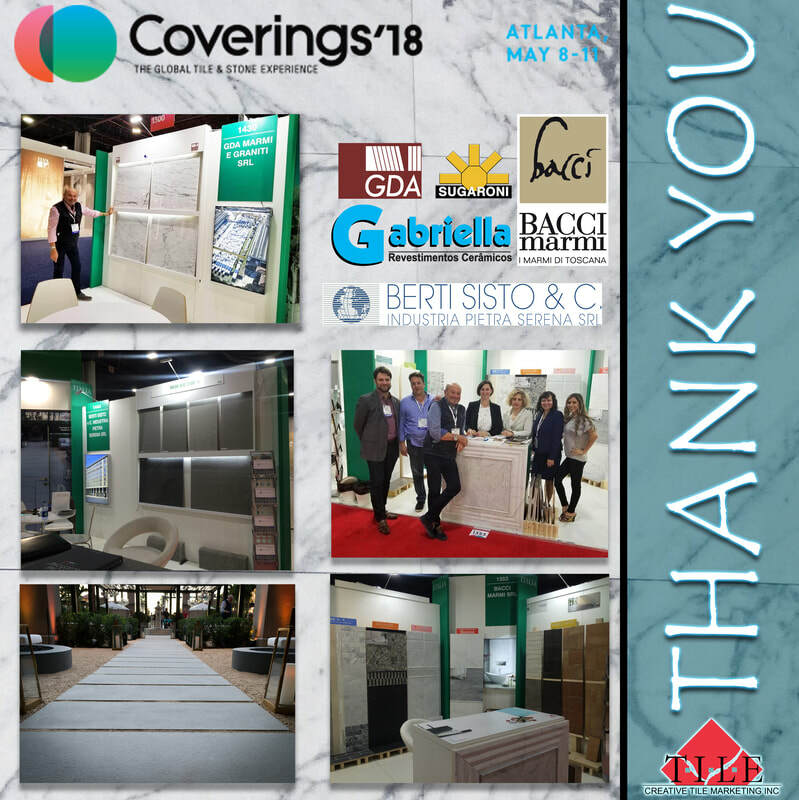 Coverings - CREATIVE TILE MARKETING, INC.
For almost 30 years, Coverings has been the preeminent event for the ceramic tile and natural stone industry in North America. Visitors from every facet of the tile & stone industry find that coverings is the one vent that drives their success, year after year. 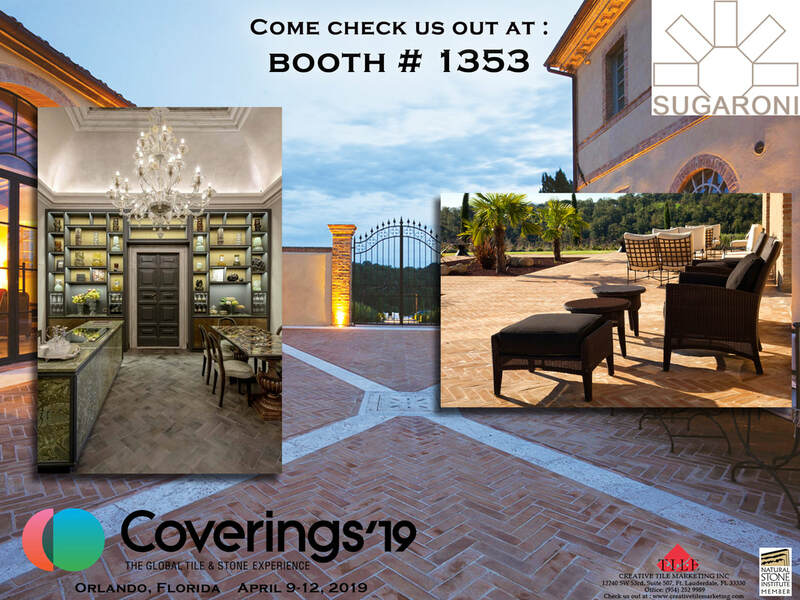 What are the Dates, Times and Location of Coverings ? 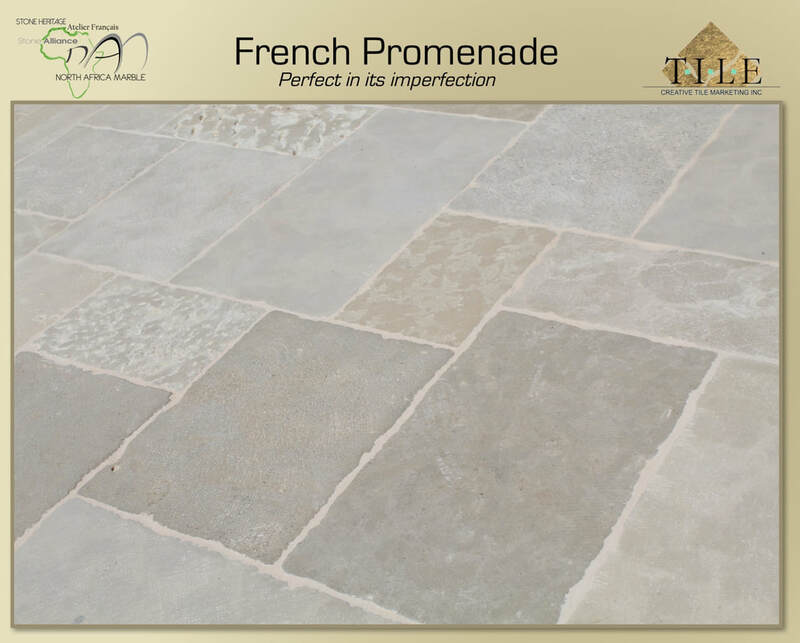 In the top left picture, it is CTM's president Maro Adriani at the GDA Booth displaying Staturio M, a very popular tile.. 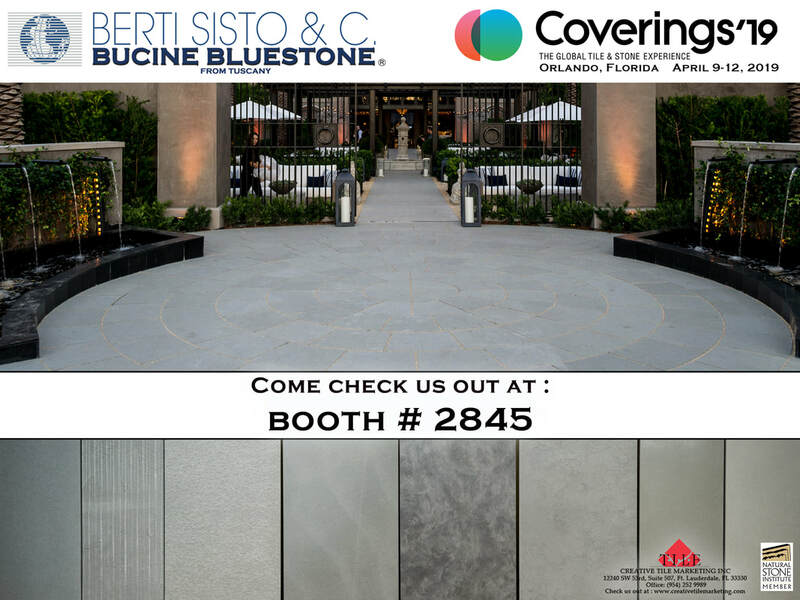 In the middle, left side picture is at the Berti Sisto Booth, displaying some of our Bluestone material. 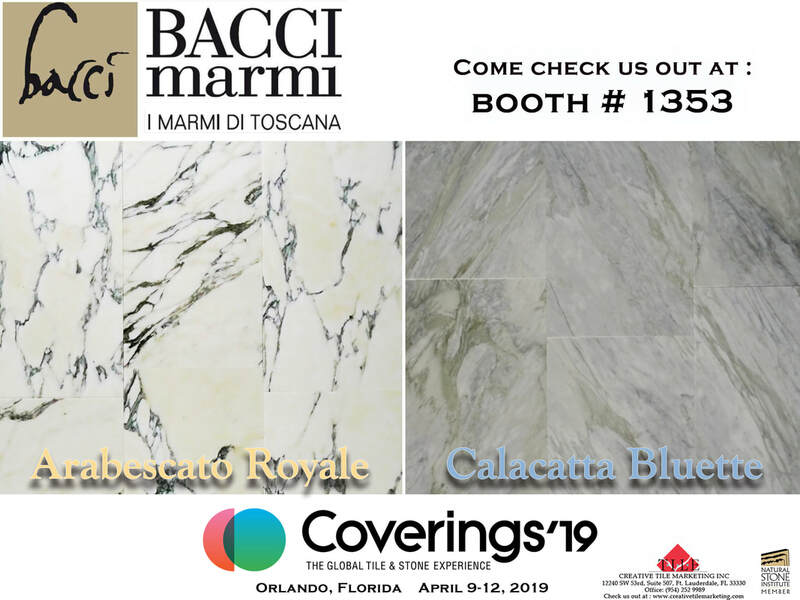 In the bottom left picture is a picture of the Berti Sisto Bucine Bluestone installation of Restoration Hardware located in West Palm Beach, FL..
​In the bottom right picture, It shows all the materials Bacci was displaying at the 2018 Coverings Expo.